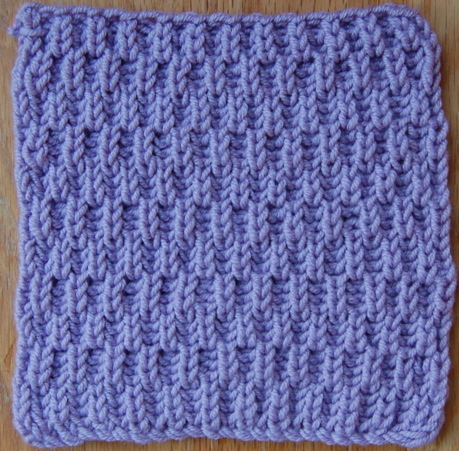 Here is another pretty knitting stitch with a lovely poetic name - Syncopated Brioche. Remember the song Syncopated Rhythm, well here it is in yarn. This stitch has a lot of texture and movement. Here are my photo takes on Syncopated Brioche. The picture above is from the Barbara Walker site. Blossoms and leaves give a lot of texture and movement to trees. 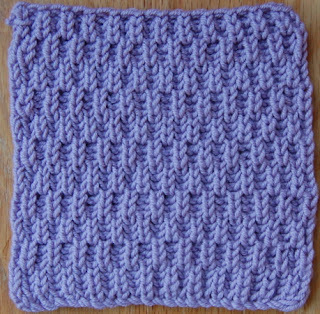 Adding a second colour to this brioche stitch or adding beads would give it a floral "feel." Here is another in blue. I love blue and green together and the texture here is very inviting. Again adding beads to the Brioche Stitch would really enhance this texture.